Eluxury North American Pine Artisan Bed Frame Review was recently completed by the MattressJunkie.com team. ELuxury is a veteran owned company located in Evansville, Indiana. ELuxury’s goal is to provide sleep products at uncommon prices. Eluxury also has an array of products in addition to mattresses. I recently reviewed the eLuxury 10 Inch Gel Memory Foam Mattress and really liked it. Let’s explore the Eluxury North American Pine Artisan Bed Frame in further detail. What’s the Eluxury North American Pine Artisan Bed Frame made of? Eluxury North American Pine Artisan Bed Frame is made from American Pine wood. The frame comes in 4 colors, walnut, grey, almond, and natural. 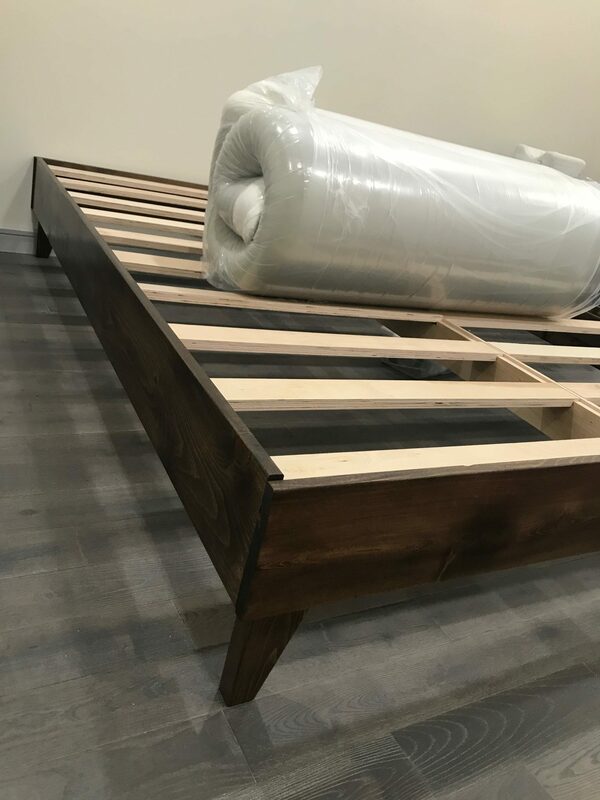 How long does it take to set up the Eluxury North American Pine Artisan Bed Frame? Coming from someone who has terrible nightmares from Ikea assembly, Eluxury North American Pine Artisan Bed Frame literally takes 5 minutes to set up. Opening the box is the most complex thing about this frame. No tools were needed. You basically just hook the metal clamps together and you are done. What makes the Eluxury North American Pine Artisan Bed Frame different from any other? 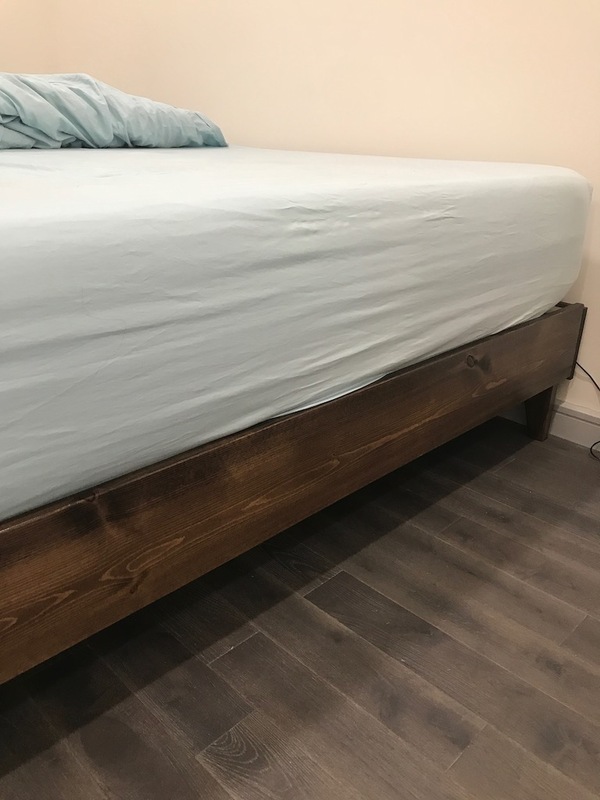 The Eluxury North American Pine Artisan Bed Frame is way higher quality than I expected. I was really pleased with how easy and nice the frame is. We received the walnut finish and did not expect it to be as easy or nice as it actually is. Definitely a huge thumbs up on quality. How much weight does the Eluxury North American Pine Artisan Bed Frame hold? Eluxury North American Pine Artisan Bed Frame will hold up to 900 pounds. 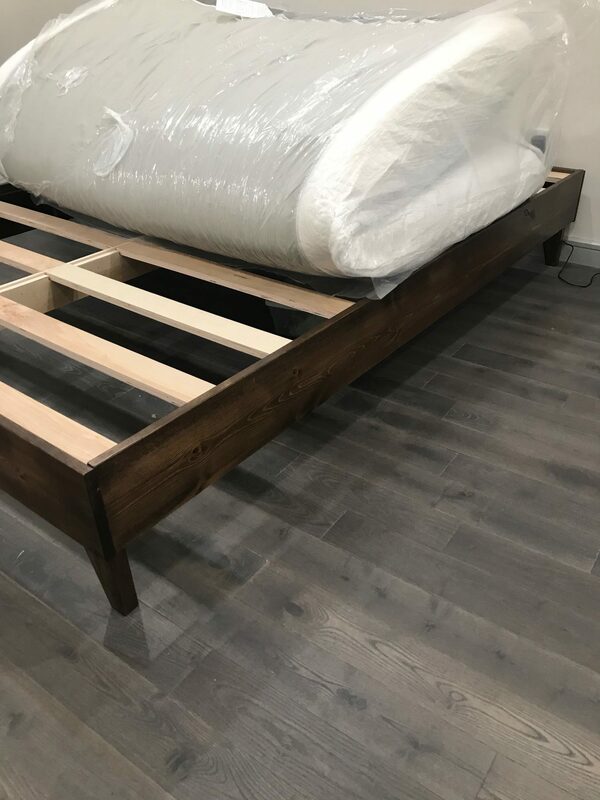 What type of mattress should I put on the Eluxury North American Pine Artisan Bed Frame? 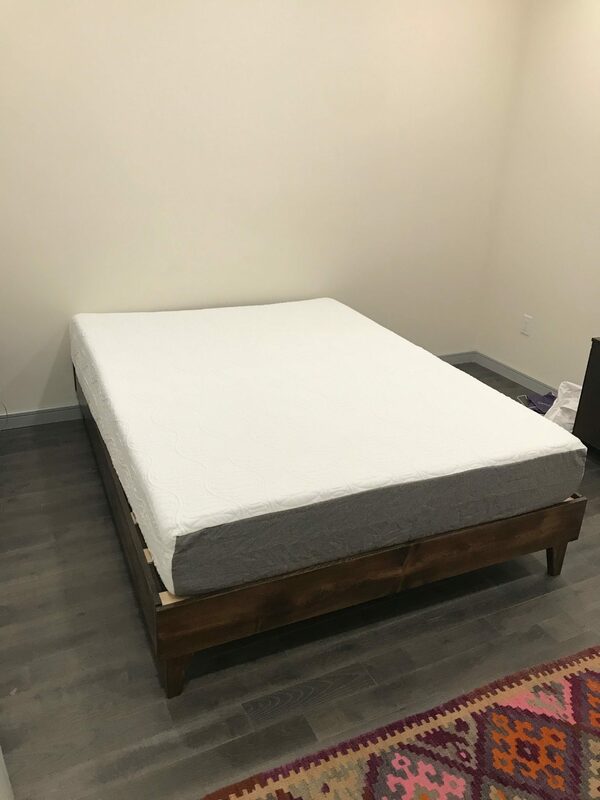 Eluxury has a bundle deal where you can bundle the Eluxury 10 Inch Gel Memory Foam Mattress or and the Eluxury North American Pine Artisan Bed Frame and save quite a bit. I would recommend this bundle if you need a mattress too. If you already have mattress, memory foam, latex, or a hybrid would all work well on this frame. A box spring would not be needed with this frame and frankly, I think it would be unpleasant to use with a box spring due to height. How many inches off the ground is the Eluxury North American Pine Artisan Bed Frame? The Eluxury North American Pine Artisan Bed Frame sits 6.5 inches off the ground. 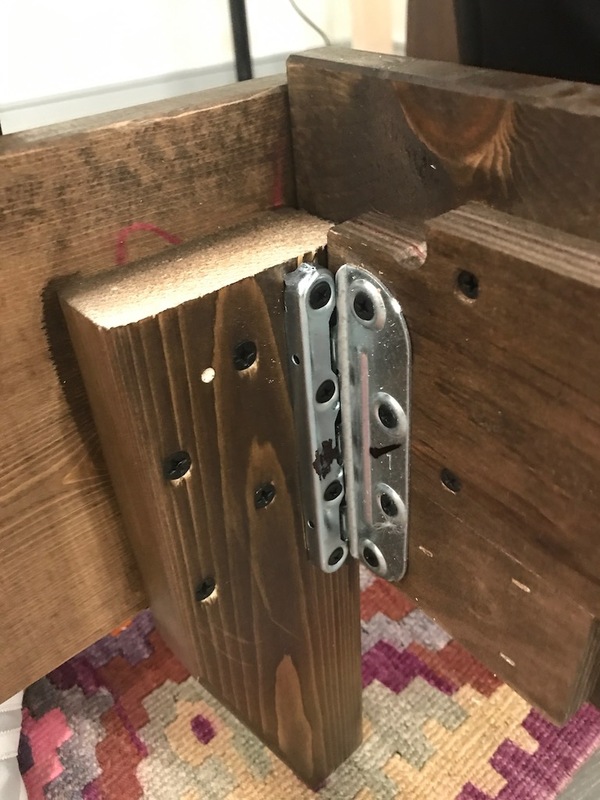 The feet of the frame do not come off. Does the Eluxury North American Pine Artisan Bed Frame come with slats? Yes, 7 layer slats that fit 6 inches apart are included. This provides great support for your mattress. 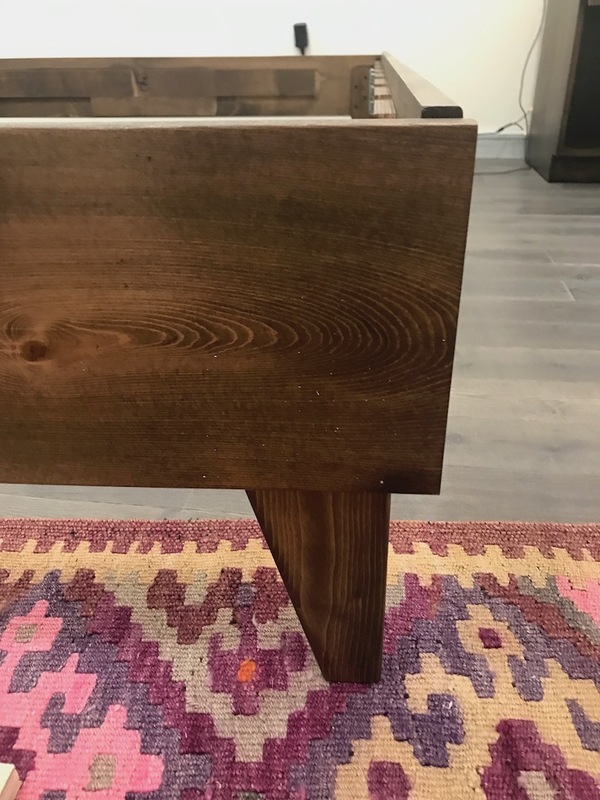 Is it possible to add a headboard to the Eluxury North American Pine Artisan Bed Frame? No, this frame does not support a headboard nor can one be attached. Where is the Eluxury North American Pine Artisan Bed Frame made? The frame is 100% made in the USA.